Borealis’ sister company NOVA Chemicals today announced a three-year investment of nearly USD 2 million (EUR 1.5 million) to prevent plastic debris from reaching the ocean. The investment supports Project STOP, a new global initiative to design and implement solutions to reduce marine plastic pollution especially in countries with high leakage of plastics into our oceans. NOVA Chemicals’ investment will support the first city partnership in Muncar, a coastal fishing community located in Banyuwangi, Indonesia. With minimal waste services in place, many citizens are forced to dump their waste directly into the environment. Muncar was chosen as the first STOP location due to the seriousness of the challenge, coupled with strong leadership and environmental commitment at national, regency and local levels. Project STOP was co-created in 2017 by Borealis and SYSTEMIQ. Borealis is a leading provider of innovative solutions in the fields of polyolefins, base chemicals and fertilizers, and SYSTEMIQ is a firm that co-creates, incubates and invests in innovative solutions for sustainable land-use, material and energy systems. Zero leakage of waste into the environment by ensuring waste collection services are available to all households and businesses, through increasing pick-up points, sorting facilities and staff. 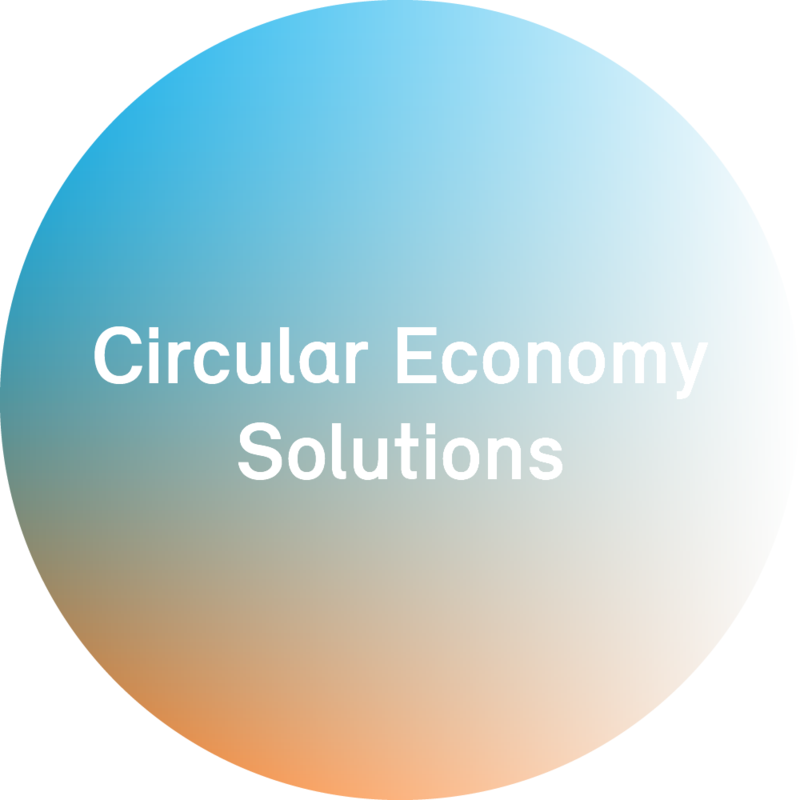 Increased recycling of plastics by strengthening the supply chain from waste collection to waste management companies. Benefits for the local community by creating new jobs in the waste management system and reducing the impacts of mismanaged waste on public health, tourism and fisheries. 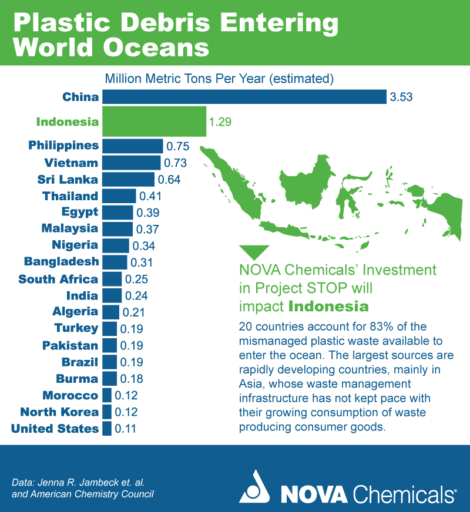 “We are delighted to work with NOVA Chemicals to stop plastic pollution from reaching the world’s oceans,” said Martin Stuchtey, Founder and Managing Partner of SYSTEMIQ. “There is a great need to accelerate circular waste management solutions in Asia, and we are very excited to design and deliver this new city partnership model, working collaboratively with our global corporate partners and our government partners in Indonesia. Click here for NOVA Chemicals’ media release. Click here or watch this short video to learn more about Project STOP. NOVA Chemicals develops and manufactures chemicals and plastic resins that make everyday life safer, healthier and easier. Our employees work to ensure health, safety, security and environmental stewardship through our commitment to sustainability and Responsible Care®. NOVA Chemicals, headquartered in Calgary, Alberta, Canada, is wholly-owned, ultimately by Mubadala Investment Company of the Emirate of Abu Dhabi, United Arab Emirates. Visit NOVA Chemicals on the Internet at www.novachem.com. SYSTEMIQ aims to catalyse good disruptions in economic systems that will speed achievement of the UN Global Goals and the Paris Agreement. With initiatives across the land use, material and energy sectors, SYSTEMIQ builds coalitions to shape policies and business strategies, co-creates market-based solutions in partnership with the private and public sectors, and invests its own capital in early-stage ventures with the biggest potential to rapidly transform economic activity. To learn more, visit www.systemiq.earth. The NOVA Chemicals logo is a registered trademark of NOVA Brands Ltd.; authorized use.